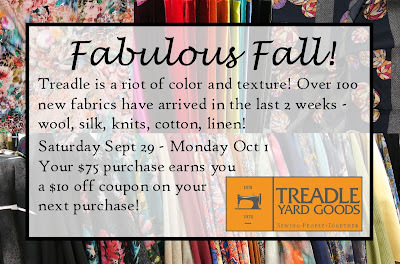 Gorgeous new Fall Fabrics! Stop in this weekend and find your next project! Spend $75 and you'll get a $10 off coupon for next time! New Indian Imports From Wool Gathering! Wool Gathering Company has brought us so many lovely new pretties! Cottons, silk, handwoven, hand printed, gauzy, striped, colorful - all different and all delightful! These fabrics are not only hand produced, they are also hand picked and ethically sourced by Wool Gathering from skilled artisans all over India. Gorgeous new silk prints to give your fall wardrobe a refresh! These new poly prints have a lovely drape and soft hand, perfect for blouses or dresses! 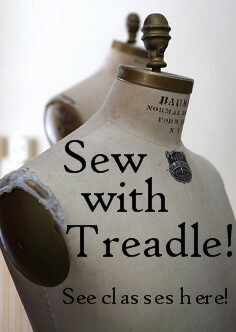 Treadlette Jennifer has a fabulous new project that she's making into her latest class! Using mostly simple hand-sewing techniques, you can make this simple, elegant storage case for all your lovely jewels and baubles! The Jewelry Roll is perfect for travel - use the long ribbons to tie up necklaces, hook earrings through the small trim, and string your rings onto the short ribbon and button it closed. Roll it all up and tie - your jewelry is safe and ready to roll! Make one for yourself, or make a whole collection as gifts! This class will meet on Sunday December 2 from 1:00 – 5:00 pm. See the full info here! 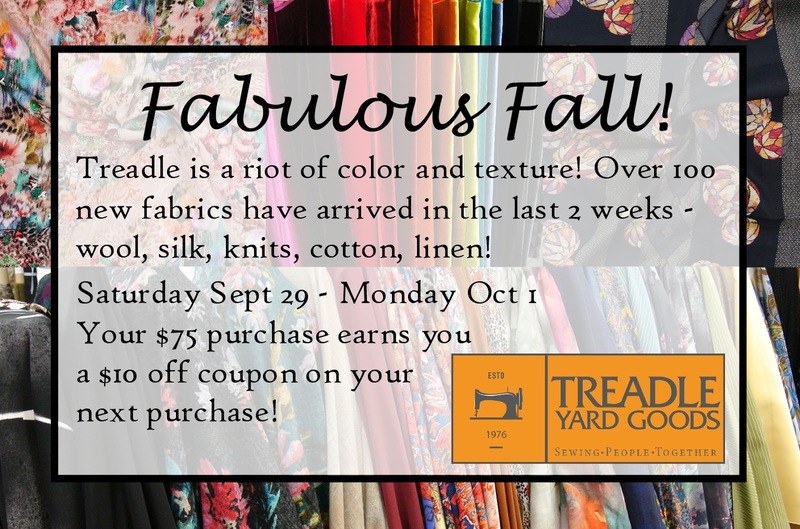 To sign up, call us at (651)698-9690, or stop by the store. You can see our full class schedule here. These new Japanese cotton and linen canvas prints are perfect for skirts, jackets, bags, or anywhere you need a fabric with weight and body. And you can't go wrong with gorgeous prints like these! New Japanese cottons! Check out these new prints in cotton broadcloth and double gauze. We have more gorgeous new cotton knits from Danish company Stof Fabrics! Our New Arrivals table is packed with gems this season, including this assortment of lacey knits and openwork embroidered fabrics! We have a fabulous new Frida Kahlo panel print! Here's a closer look at the delicious floral coordinate print.